Safe Mode: Firearm will not fire. Semi-Auto Mode: Firearm fires when the trigger is pulled. Echo Mode: Firearm fires when the trigger is pulled and also when the trigger is released. 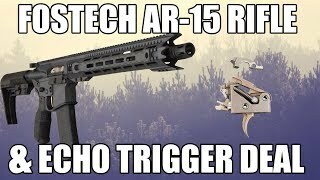 The Echo Trigger is for the direct impingement AR-15. 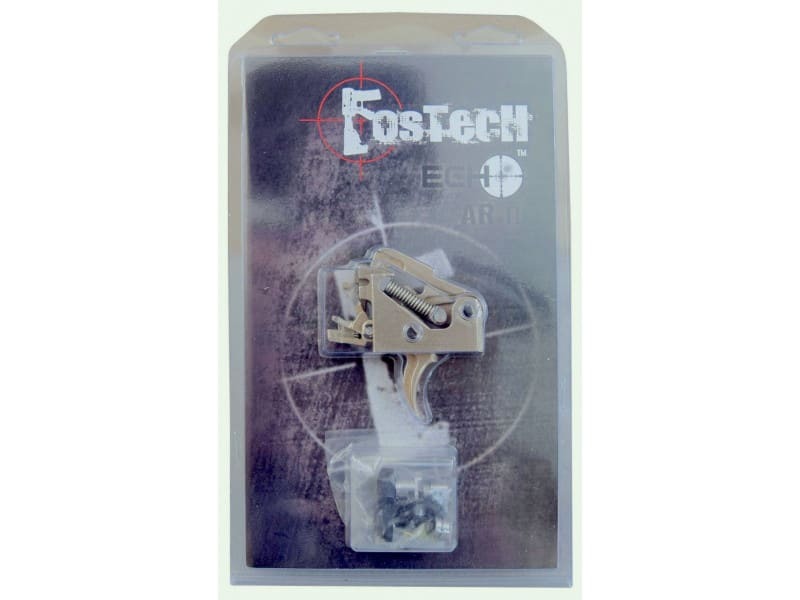 This is the Gen II variation that is the latest and most current of the Fostech Echo triggers. 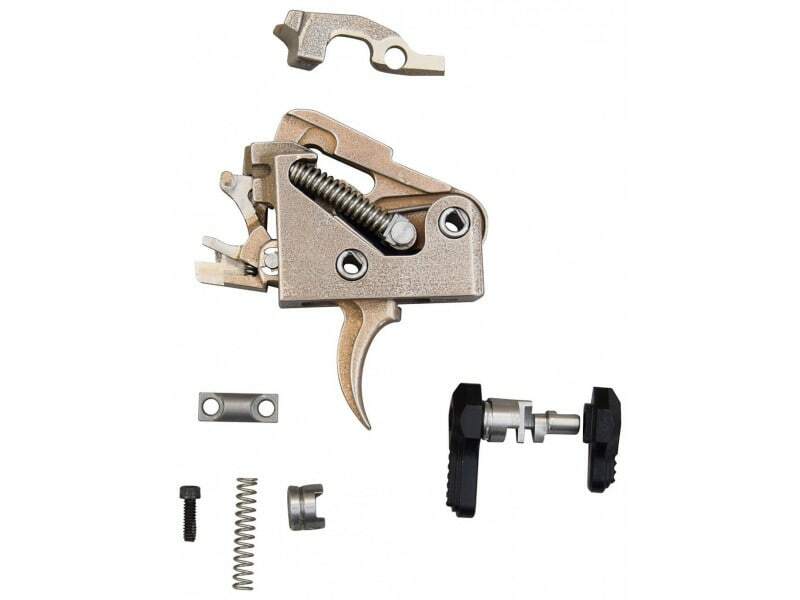 The original Echo required a separate bolt to finction but this Gen II trigger will work in any direct impingement AR-15 rifle utilizing a full auto bolt carrier which 90% or more of all AR's do.. Not sure if you have a semi or full auto bolt Click this link for further detail. 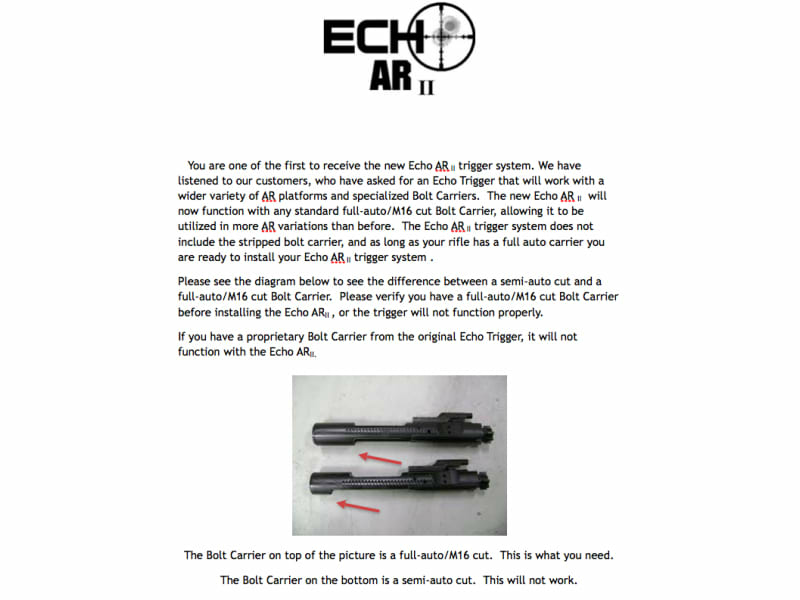 The Echo Trigger is a groundbreaking drop in design that is approved by the ATF. The Echo Trigger allows the shooter to select from 3 different settings. Echo Mode: Firearm fires when the trigger is pulled and also when the trigger is released. The Echo Trigger is designed with safety being the utmost priority. When the shooter is in the Echo Mode and depresses the trigger one round is fired- if the target moves, the shooter can move the selector to the safe position and a second round will not fire upon release. Reliable function in Echo Mode, see video's and reviews...these things are awesome. Note - Unlike the Echo Gen 1, this New Gen II trigger does not require a different bolt mechanism to work. It does reguire however that the companion rifle have a full auto bolt carrier which most all commercial AR-15 rifles do come with. The Echo Trigger cannot ship to North Dakota, Oregon, Washington, or New Jersey. 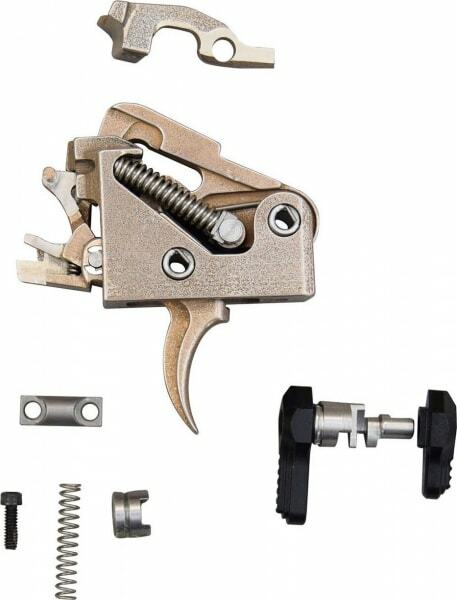 The Echo Trigger is a revolutionary new pull and release trigger from Fostech. 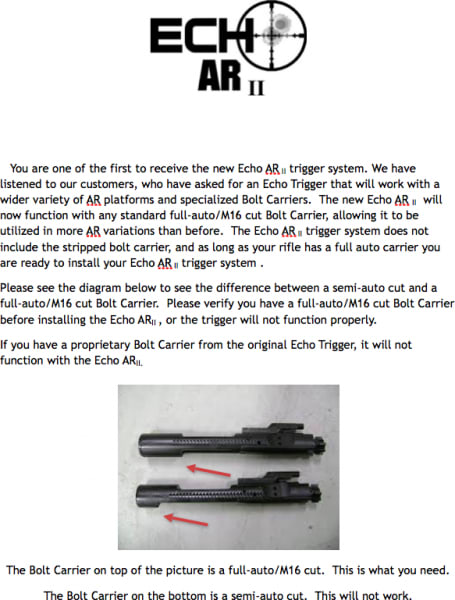 This is the Echo II that does not require a proprietary bolt carrier.